Dr. Nina Heydemann is currently the director of the Maraya Art Centre and the 1971 – Design Space in Sharjah, United Arab Emirates. Before her appointment, Dr. Nina Heydemann worked as the Senior Manager – Visual Arts, heading the Department of Visual Arts at the Abu Dhabi Music & Arts Foundation (ADMAF) in Abu Dhabi from 2014-2018. She received her PhD degree in Art History from the University of Leipzig, Germany, and the University College London (UCL), United Kingdom. Her dissertation “The Art of Quotation. Forms and Themes of the Art Quote, 1990-2010”, examines inter-pictorial referentiality of contemporary artworks. Previously, she worked as an exhibition manager for the Deutsche Bank Art Collection in Frankfurt/Main, Germany. Dr. Nina Heydemann studied Art History and Cultural Sciences at the University of Leipzig, the Universit Ca’ Foscar Venice and Venice International University, Italy. She was awarded scholarships from the University of Leipzig, the German Academic Exchange Service (DAAD) and the German Academic Scholarship Foundation (Studienstiftung des deutschen Volkes). Laura Metzler is a curator and art historian from Houston, Texas. She received her MA from the American University of Beirut and her BA from the University of Texas at Austin. She has been living and working in the arts in the Middle East since 2011 and has previously been the Associate Director of The Third Line, Dubai and Sfeir-Semler Gallery, Beirut. She is particularly interested in transnational narratives and emerging art historiographies. Her research has focused on the later works of Lebanese sculptor Saloua Raouda Choucair. Fatma Mohammad Al Mahmoud earned her BA in Visual Arts at the Dept. of Art and Design, College of Art and Creative Enterprises, Zayed University. 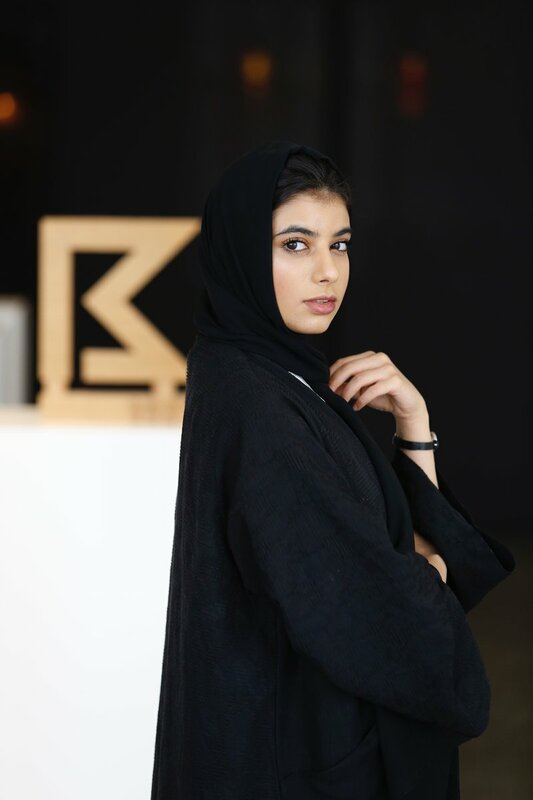 After a period spent as a Graphic Designer in Sharjah Investment and Development Authority (Shurooq), Fatma became a permanent member of the Maraya Art Centre in 2016, setting the programmes for Maraya Art Centre and 1971 Design Space. The programme address art media, design techniques and experimentation on creative thinking are addressed. She is currently the Head of 1971 Design Space, a non-profit platform for local and international designers as well as managing the Jedariya initiative by Maraya Art Centre.